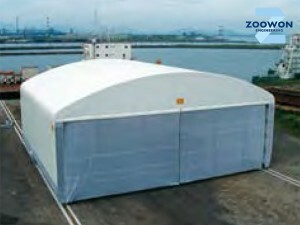 Loaded materials can be protected from bad weather only by moving tent house without moving large heavy materials. 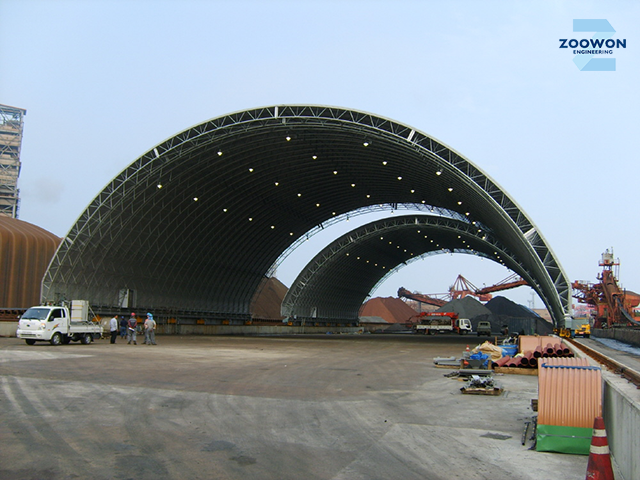 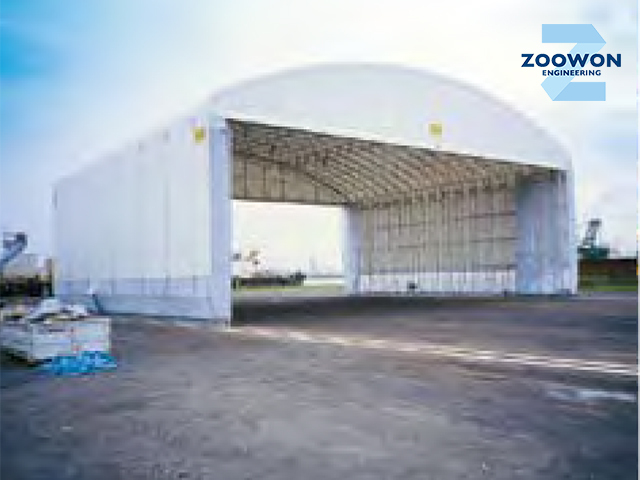 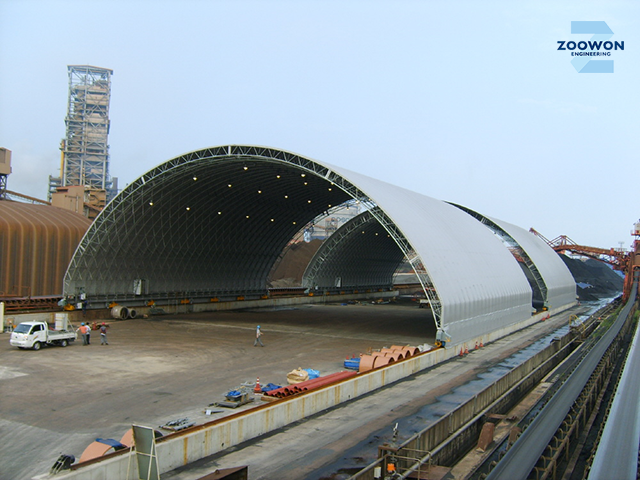 Further, the tent provides environment for loading/ unloading materials simply therefore improves work efficiency. 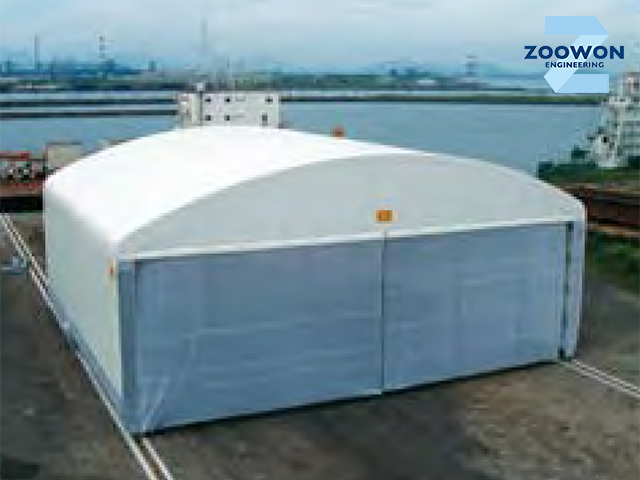 In addition, the tent can be installed without pillar up to 40m of width therefore the user can utilize space effectively. 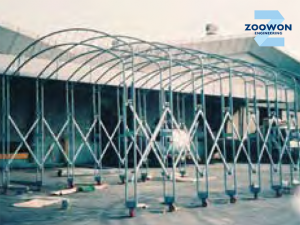 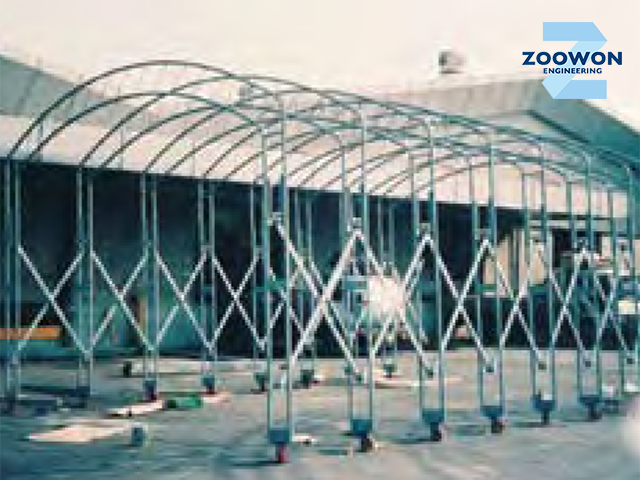 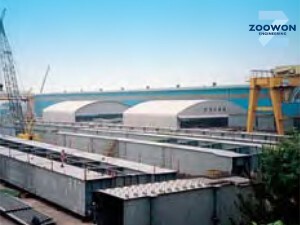 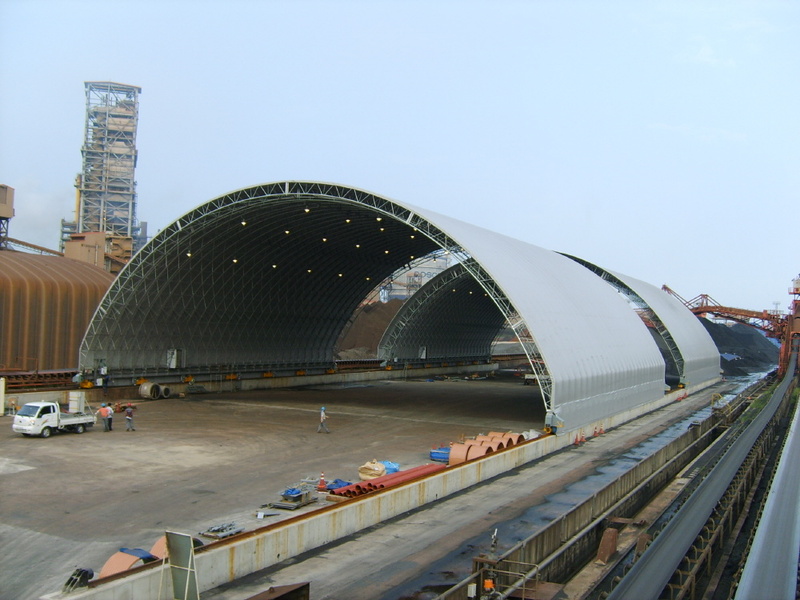 In addition, structural steel pipe for carbon, of which structure has been verified, and special canvas have been used to secure enough rigidity of the structure.